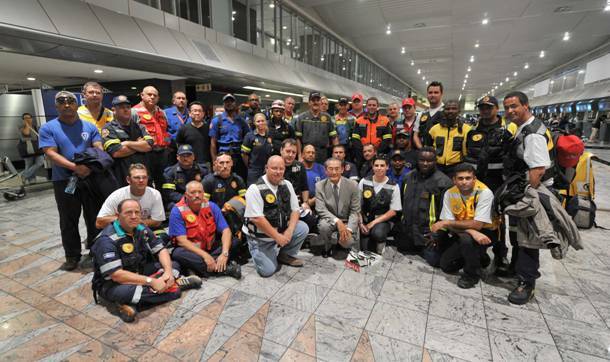 On March 16th, the Rescue South Africa Disaster Response Team left for Japan from OR Tambo International Airport on a chartered flight. They will be assisting with the rescue and relief activities in the city of Ishinomaki, Miyagi Prefecture. Their work in difficult conditions will become a symbol of friendship and solidarity between the peoples of South African and Japan.